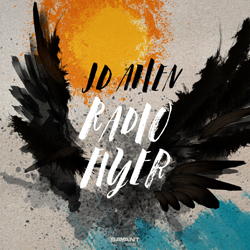 JD Allen's previous recording Americana won widespread critical acclaim for it's ground breaking melodic and harmonic explorations and for its impressive emotional intensity. While that album presented Allen's ideas with a somewhat contemplative hand, Radio Flyer moves with a more unbridled enthusiasm, testing the possibilities jazz has for individual expressionism and improvisational freedom. With guitarist Liberty Ellman on hand the quartet presents Allen's seven original compositions bristling with energy while maintaining a cohesive, comprehensive unity of thought and purpose.